Suddenly, Eindhoven is on the radar of one of the most heralded American tech centers – and its world-famous innovation conference. A delegation from Austin, Texas including several executives from South by Southwest Conference and Festivals (SXSW), the world’s largest event for creatives, was in Eindhoven Monday to see the city for themselves. The delegation was here as part of a new reciprocal program in which groups from Austin and groups from Eindhoven visit each other’s cities on alternating years. The program started with The New Dutch Wave, a group of Dutch startup teams and entrepreneurs who hosted SXSW venues in 2016 and 2017. “This year, it’s the New Dutch Counterwave,” said Erica Shamaly, music and entertainment division manager for the City of Austin, as the Americans invade Eindhoven. Shamaly was one of five people from Austin on the multi-day trip. In addition to Austin official Shamaly, the group includes two SXSW representatives, a venture capitalist and the VP of global trade for Austin’s World Affairs Council. The Austin group, in turn, is part of a larger global delegation here from cities including Montreal, Los Angeles, London and Philadelphia for Dutch Design Week, one of the premier design conferences in the world. New Dutch Wave launched the Counterwave trade mission in collaboration with Brabant C, the investment fund for culture in the Brabant province that includes Eindhoven. “For New Dutch Wave, the Counterwave is a great addition in our mission to create inspiring meeting places and long-term collaborations between our own creative industry and those abroad.” Says Arne Koefoed, co-founder of New Dutch Wave and Head of Ideas at creative agency WINK. 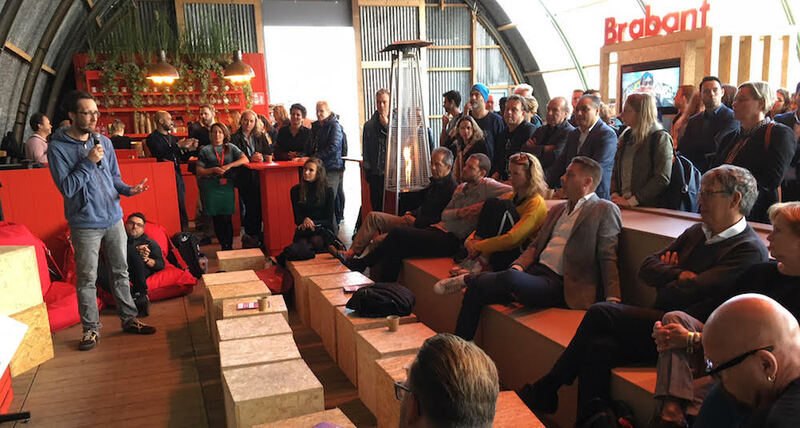 From 19 to 24 October, entrepreneurs, investors, bookers and curators from the U.S. visited the Netherlands during the Amsterdam Dance Event and Dutch Design Week. 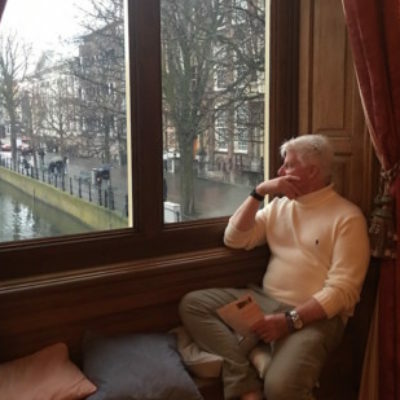 On 22 October, Fred Schmidt, director of international affairs for Capital Factory, a startup community in Austin, said he’d only arrived from Amsterdam, but already, he was amazed. As part of the Austin visit, several Eindhoven startup and scale-up teams pitched to the group at the Brabant Living Lab, and HighTechXL founder Guus Frericks introduced Eindhoven. The teams earned the right to pitch by winning the Brabant Startup Awards, an award presented by Innovation Origins. Statham got great reviews for his Arion pitch, a pitch the assembled agreed could work at SXSW. Schmidt and others in the group told Dispatches Eindhoven was on Austin’s radar because Mayor John Jorritsma visited Austin earlier this year. Before Jorritsma’s visit, some of the Texans said, they’d never heard of Eindhoven. On Monday, they were talking about how Eindhoven could do business with Austin and other American cities. Austin is the HQ for Dell Computer. Most of the Austin-based companies are tech-focused, with the area’s largest export categories computers and components, and the semiconductor industry. “That’s where the relationship with Philips came in,” Rameriz said, referring to the Dutch electronics giant that was founded in Eindhoven. “There are a lot of opportunities for us to bring Brabant and Austin together.” Getting Texas companies focused on foreign markets “is our No. 1 priority,” he said. Now, they can start referring startups and SMEs in Texas to the companies they’re seeing here, Rameriz said. Schmidt, a native of Grand Rapids, Mich., said why stop with Texas? Southern Michigan has a large population of people descended from Dutch settlers and even has a city named “Holland,” he noted. Erica Shamaly, manager, music and entertainment director, City of Austin. Fred Schmidt, Capital Factory, Austin’s startup mega-center and accelerator that connects startups to investors. Capital Factory has 750 members and has raised several funds, most recently $5 million in 2017. Peter Lewis from South by Southwest. Lewis is global head of Sales and Exhibitions. South by Southwest, which began in 1987, is a conference/festival that takes place every March in Austin, Texas. SXSW actually is three conferences – a music festival, a film conference and an interactive conference. Each conference draws from 20,000 to 50,000 attendees. Everyone who is anyone has attended SXSW, performed there or presented films or talks there from Johnny Cash to Elon Musk to London Mayor Sadiq Khan.